I did not care for this book at all. Every time you started to get into the two main characters, Addie and Erich, who had lived across from each other as children and now are adults and are put together so their mothers can go on a curse together that they had plan for some time. As they start to work out their past and maybe a future, in comes the two angels Harry the one trying to help Addie find her way and his mentor Celeste, who tries to guide Harry who for the first part of the book acts like a know it all and only seems to get into trouble. I just felt like the story was too much of Harry and not enough of Addie and Erich. There was no depth to the characters and why she felt so much hurt by Erich that she could not say okay to a relationship when you compare her writing of characters in other books with this one. And when she has opened to Erich about a situation the story jumps back to Harry the angel. So much so that when you get to the end of the book the epilogue is about Harry, Celeste is talking to him about Addie and Erich, WHAT ABOUT THEM, he says they had a break through really. Maybe it is me I read to many history and action books, but I missed the break through and I am not going back to re-read it. Any way Harry is staying and I won’t be reading the next Mr. Miracle book. 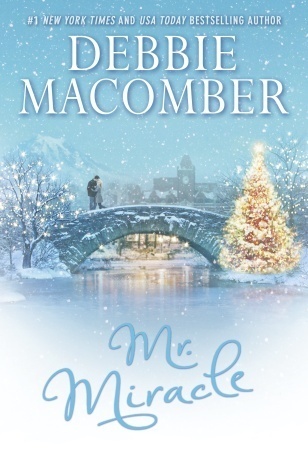 I am giving Debbie Macomber, a little pass for her other books that I have read were good. I got this book from net galley.